Jardim Zoológico, Lisbon, Portugal, 1927, by Mário Novais, via Biblioteca de Arte / Art Library Fundação Calouste Gulbenkian on flickr (used under CC license). The Lisbon Zoo was founded in 1884 and moved to its current location in 1905. 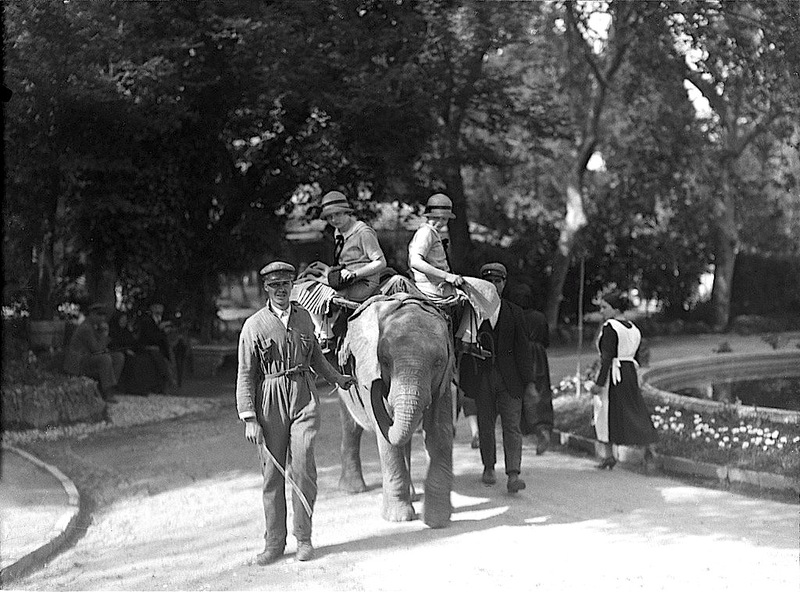 This may be a photo of the zoo’s first African elephant, which it received in 1926, a gift from the King of Italy. Next Post Vintage landscape: Lake Mohonk, N.Y.
Makes me think of Jackie Kennedy in India with her sister, Lee.